Most Red Cross volunteers deployed to a disaster scene are sent to help feed and house the victims. When Diane Burnett of Seattle was sent recently to tornado-ravaged Alabama, her concern was more the mental health than the physical needs of disaster victims. A swarm of three dozen tornadoes struck Lee County, Alabama on March 3, killing 23 people and leveling whole communities. When Diane, a retired social worker, arrived on scene on March 13, most victims were in temporary housing, out of physical danger. What needed caring for were the emotional scars left by the storm. There was no Red Cross shelter at the disaster scene and so no central location to use as a base for Red Cross assistance. Instead Diane and her team roamed far and wide over 10 days to treat the mental health issues of survivors wherever they could be located. Home base for the Red Cross workers was Opelika, AL, county seat of Lee County. She found one woman who had lost her husband in the storm. “We stayed in close touch with her,” Diane says. The team did many follow-up calls to make sure victims were coming to terms with their losses. A church had put up crosses, one for each person killed in the storm. “We hung around there to talk to anyone who came by and needed help,” she explains. Diane is retired now, after a career as a social worker specializing in addiction counseling. She worked at the King County Jail, the King County drug court and a non-profit agency that provided outpatient treatment to addicted individuals. Her first Red Cross deployment was in 2014 to the landslide in Oso, WA that killed 43 people and destroyed a community. Responders were cared for, and the mental health teams did field work with residents and family survivor care. One of her most recent deployments was to the eruption of Hawaiian volcano Kilauea last summer. Diane goes on Red Cross assignments when they don’t conflict with her new home-based business as a part-time nanny. “When I am free and don’t have a nannying job, I go out,” she says. Which was the case when the call for Alabama volunteers came in. “I was available so I went to Alabama,” she says. Her primary role on deployment is as a mental health professional. “That is my main job,” she says. But like any Red Cross volunteer on deployment, she does whatever chores pop up. “I empty trash cans or do whatever needs doing,” she says. 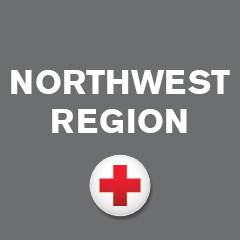 Diane has responded to a few local fires in Seattle, but is not a member of a Red Cross Disaster Action Team (DAT). Those are the teams that provide Red Cross assistance at local disaster scenes. She feels she can be most useful at major disaster events where the need for mental health support is huge. Diane is grateful to the Red Cross for giving her an opportunity to put her skills to good use at disaster scenes. “By being able to give people comfort, I have gained much more from the Red Cross than I have given,” she says.